Children kicking teachers, beating parents, insulting preachers. What’s happening? Grown men torching libraries, blockading roads, crying for service delivery, demanding that they get their own RDP houses. Husbands beating up wives, demanding a share in the government grants that are given to the fatherless children. Rich families rigging the system to get bursaries for their children. C’mon people, what is going on? Young men are thrown headfirst into an unwelcoming world, unable to find work, yet expected to bring bread home. Minds that have been handicapped by an experimental education system are now unable to fight the ghosts of colonisation because the new rulers made a wholesale deal with new masters. This is not a lament, how can it be? We do not mourn the unborn, and we celebrate every birth, no matter how imperfect. We are creatures of hope, and hope is what makes us better than the beasts, and so we hope … hoping that some intervener who has wisdom and strength greater than ours will change our fortunes. Beasts flee when frightened and they kill in self-defence. Many a lion has downed the hunter. When seasons become unbearable, birds fly away. Nomads navigate the sands and follow the stars, but, as for the rest of us, we settle in our misfortune, imprisoned by our fixed properties that bring us neither comfort nor contentment. The incidents of children beating up their teachers and then posting about the act on social media is not the malady. It is only an omen that there is worse on the way, and it comes from no one but us. It is the sign that parents have failed in their responsibility of parenthood. It is also a clear and unmistakable sign that government should not have attempted to become a parent by enacting too many laws that govern the classroom and the household. This despicable disease that has afflicted our society cannot be healed by policy alone, because policy without conviction is meaningless. After the schoolchildren beat up their teacher, questions were thrown at the department of education. Where were the parents of the children who committed these dastardly acts? Where was the community? 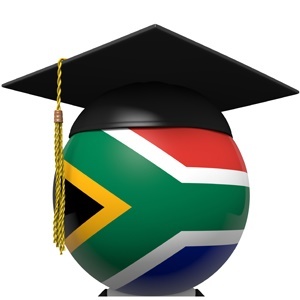 Where was the SA Democratic Teachers’ Union? Does it not defend its members against abuse of all kinds and from all sides? We must admit, once and for all, that our society has become addicted to policy and has relegated its responsibilities to politicians and government departments, and so we must wean ourselves from it. Our eagerness to be admitted to what is fallaciously called “the civilised world” has made us ignore our own valuable traditions when making the policies and laws that govern our country. Coldhearted as it may sound, a society that stands by and allows its children to beat up its adults is a doomed comic opera, and it is only a question of time before the stage collapses and the actors plunge to their wholesale deaths. The greatest unfairness of democracy is that the policies that are made seldom govern the lawmakers and their families. They have the money to hire psychologists and lawyers who can ease their pain and shield their children from the consequences of their actions, while the greater society remains mired in its misery. We are made of flesh and blood and a bundle of emotion, so we will lose our way from time to time, but we must keep the dream alive. We must restore the value of the teachers and treasure the wisdom that they bring.